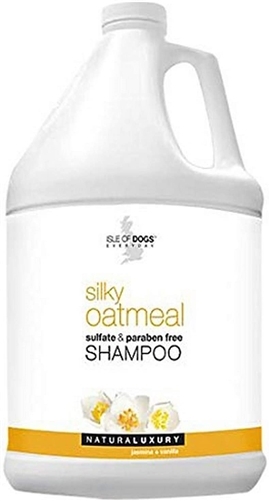 ISLE OF DOGS Silky Oatmeal shampoo is a mild and gentle shampoo that will help create a soft and silky feel to the coat. It can be used on any breed or coat, and has the benefits of oatmeal and Jojoba, which help soothe dry skin. 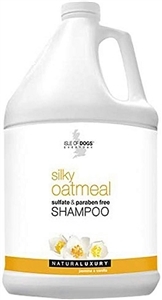 Silky Oatmeal shampoo is sulfate and paraben free and has a built-in odor neutralizers keep the coat smelling fresher longer.